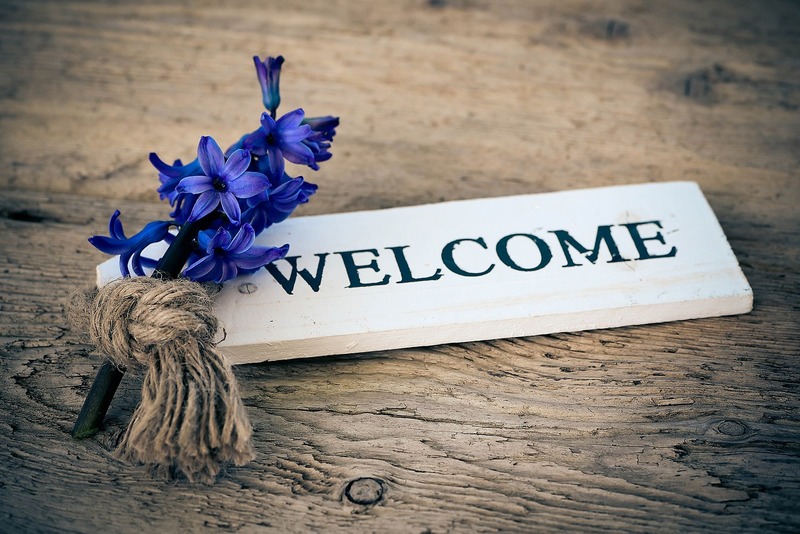 We may be welcoming Spring, but here on our blog, we're welcoming a few new members to our blogging team (and saying goodbye to a few friends too). 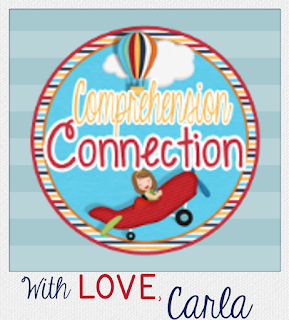 We are seven months old now, and we are thrilled to be sharing great content to help our fellow Virginia teachers. Just like our blog, things are always changing, aren't they? Let me do our goodbyes first. We have a few go-getters who are relocating, and we are very sad to see them go. Even though they are leaving us, you can still follow them on their personal spaces. Julie, The Techie Teacher, is headed north to Michigan. She'll be learning how to ski and snowmobile next winter with all the snow she'll be getting. I bet she'll get blogging time in too. What do you think? Wendy and Cheryl from Get Caught Engineering are working coast to coast now, and man, these gals are busy presenting lots of places and working on STEM materials. Our blogger, Jen from An Adventure in Literacy is busy getting certified as a Reading Recovery Teacher, and I can tell you from experience, time is so limited during that training. She'll be back sometime soon once things settle down. Finally, our friend, Melissa from Don't Let the Teacher Stay Up Late has a new little one and therefore less blogging time. She too will probably be back in the future, but for now, one blog is enough for her. I think we all understand life and keeping things balanced. Be sure to keep up with her over on her blog. Alicia is going to be our resident TAG gal. Her blog is Alicia Broughton's Classroom. She's already added several great posts for us, and she'll be on later in the week with the math changes for your advanced fifth graders. Lindsey Paulson joined us last month too, and her experience is with primary kiddos. She's getting her blogging on with us here before jumping into a personal blog (and I highly recommend that). It really takes the pressure off of keeping a personal blog up to date. You can connect with Lindsey on Facebook and Instagram using the links on our Meet Us page. Next up is Speech and Language Pathologist, Natalie West from Speech Wonderland. 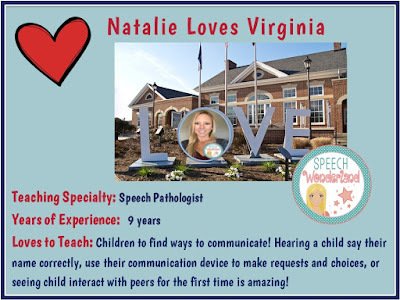 Natalie has nine years under her belt and loves the excitement of seeing her kids do many firsts. Check out her bio image here. Her social media links will be added soon. Finally, we welcome Heather Waild, first grade teacher and reading specialist. 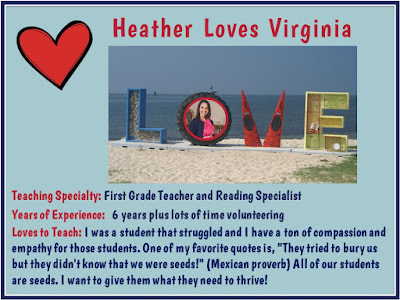 I got the pleasure of hearing Heather present at the VSRA conference earlier this year with two colleagues, and this gal has so many great ideas. She'll be doing a three post series for us later this month. Her blog will be installed shortly and is called, "Campfire Curriculum". Thanks so much for following our blog. 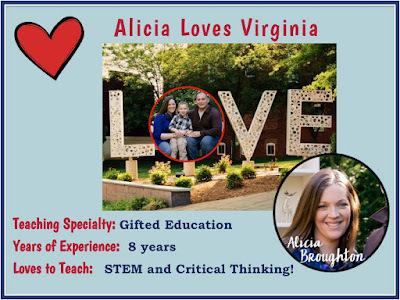 Please spread the word to your colleagues that this blog exists and join our grade level Facebook groups to connect with other Virginia colleagues. They are so helpful, especially if you're in a small school. If there are topics you'd like to see us blog about, we would LOVE to hear from you. Please comment below with units you'd like help with, things you struggle with, or just whatever you're interested in, and we'll find a blogger that can get the job done.